Download a FREE Audible audiobook today! Fifty Shades of Grey anyone?? Get your first 30 days of the AudibleListener Gold membership plan free, which includes one free credit which typically equals one audiobook. 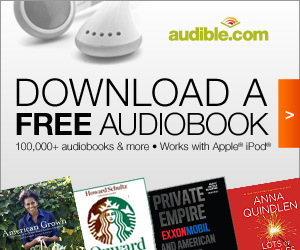 Choose from over 100,000 audiobooks!